Recently I wrote that all efforts at censorship are doomed eventually to fail. In fact, I believe that all efforts of any kind to suppress people’s liberties are doomed eventually to fail. 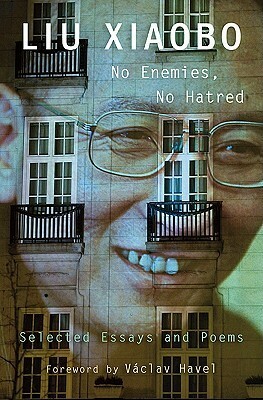 That belief was reinforced recently as I read No Enemies, No Hatred, the anthology of essays and poems by Liu Xiaobo, the Chinese dissident and 2010 Nobel Peace Prize winner who wasn’t allowed to accept his award. With a lucid and unblinking writing style, Liu offers clearheaded insights into the social and political condition of modern China. I recommend this book even if — like me — you’re not an expert in Chinese culture and history. The translators do a great job of explaining references to people and events with which Western readers might be unfamiliar. Liu, of course, is currently in prison for “inciting subversion of state power.” But in these essays, he’s not fomenting revolution or looking to gain revenge on his oppressors. His views are more nuanced and pragmatic: the Chinese people must evolve to the point where they desire liberty, and the government must stop clinging to the archaic system that keeps it in power. In his final statement, just before being sentenced to prison, Liu stood and said, “I have no enemies, and no hatred.” The system is corrupt, but he doesn’t call for bloodshed or for simply replacing one corrupt system with another. Rather, he hopes the whole society will awaken to the need for liberty and move together to secure democracy and freedom. You might say he’s a dreamer. But they said the same thing about Jefferson and about Gandhi and about Havel. This entry was posted in Leadership, Uncategorized and tagged China, democracy, dissident, freedom, liberty, Liu Xiaobo, No Enemies, No Hatred, Nobel Peace Prize on February 3, 2014 by Larry Kunz.